ConXión is a Latino-serving, Latino-led community based organization whose leadership reflects the community it serves. It is an affiliate of the UnidosUS, the nation’s oldest and largest Hispanic civil rights organization. Its highly qualified culturally-competent executive staff has a combined 60+ years of experience serving the diverse ethnic, gender/gender identity, and language needs of the target population. Its philosophy and service-delivery approach demonstrates respect for the beliefs, practices, history, language, and experiences of all program participants. It models cultural competence through its diverse staff, cultural activities, and direct engagement with the community it serves. meet the cultural and linguistic needs of clients, ConXión contracts with qualified individuals who are competent to address those needs. Rose Amador has served as ConXión’s President and CEO for 30+ years. Her Mexican and Native-American cultural heritage serves as the foundation for her many years of dedicated service and commitment to serving the target youth and families. Ms. Amador hosts a weekly Native Voice program airing on CreaTV Community Channel 15. She has an Associate’s degree in Chicano Studies. She is co-founder of La Raza Roundtable, a former board member of the Indian Health Center of Santa Clara Valley, and served on President Clinton’s Initiative on Race and Poverty Task Force. as evidenced by the longevity of key staff—six staff with a combined 167 years of employment with ConXion. 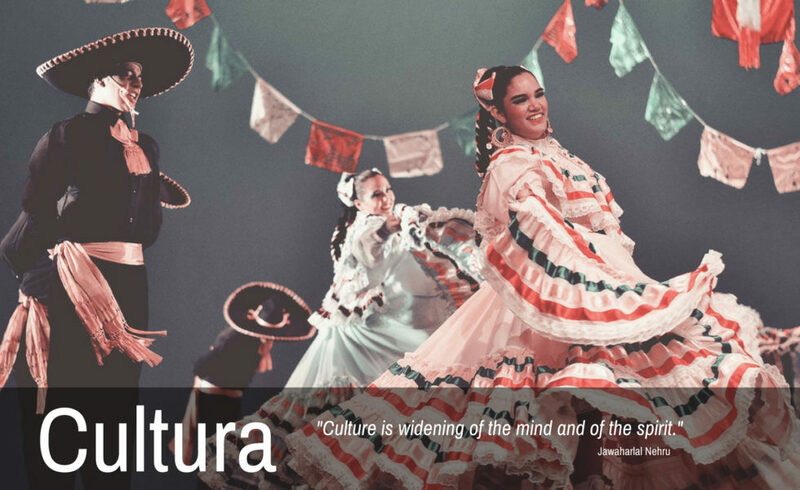 La Cultura Cura is a transformative health and healing philosophy that recognizes that within an individual’s, families and community’s authentic cultural values, traditions and indigenous practices exist the pathway to healthy development, restoration and lifelong well-being. This culturally based framework focuses on building on the natural opportunity factors and on what is healthy within an individual, family, community or culture. This indigenous based life view promotes what is right based on culturally grounded physical, emotional, mental and spiritual principles and practices. The four curriculums offered at ConXión are Joven Noble Rites of Passage Character Development curriculum, Xinachtli Female Rites of Passage, Cara y Corazon Face and Heart Family Strengthening curriculum and the Circulos. Native Voice TV hit the airwaves in 2004 and is the only urban based weekly television program in Northern California focusing on the culture of Native Americans and Indigenous People of the Americas. Native Voice TV seeks to provide a voice for Indigenous people to tell of their stories, struggles and injustices that are often ignored by the mainstream media. and informative programs for the Native Community and the general public. Washington D.C. as Best Community Talk Show. Guests have included Native American Music Award Recipients. In 2014 Native Voice TV was the most watched program on CreaTV San José. The nature of the American Indian Heritage Celebration event is to pay tribute to the AI/AN community and to educate the larger community about AI/AN heritage, traditions and culture by holding an annual event in the City of San José. This is done through education and the honoring of community members who have helped keep AI/AN culture alive. This event focuses on the many tribes and rich culture and heritage that each tribe possesses. Artifacts, pottery, regalia, information, song and dance are shared as part of the educational celebration. The event is organized by a tight-knit collaborative of over fifteen non-profit organizations and urban Indian community leaders commitment. The AIHC is dedicated to AI/AN cultural and historical preservation. The committee feels it is important to share this information and knowledge with the greater community at large to understand the AI/AN people and how their traditions have added many positive aspects to the mainstream culture of our society. Many people do not realize there is an AI/AN population in San José. This is the only large scale American Indian cultural event that takes place in San José. ConXión serves as the fiscal agent and organizer of this event. Day of the Dead is a holiday celebrated on November 1. Although marked throughout Latin America, Dia de Muertos is most strongly associated with Mexico, where the tradition originated. Dia de Muertos honors the dead with festivals and lively celebrations, a typically Latin American custom that combines indigenous Aztec ritual with Catholicism. ConXión celebrates this day with our community of participants and partners in remembrance of those that have passed on. César Chávez (born César Estrada Chávez, March 31, 1927 – April 23, 1993) was an American farm worker, labor leader and civil rights activist, who, with Dolores Huerta, co-founded the National Farm Workers Association (later the United Farm Workers union, UFW). A Mexican American, Chávez became the best known Latino American civil rights activist, and was strongly promoted by the American labor movement, which was eager to enroll Hispanic members. His public-relations approach to unionism and aggressive but nonviolent tactics made the farm workers’ struggle a moral cause with nationwide support. By the late 1970s, his tactics had forced growers to recognize the UFW as the bargaining agent for 50,000 field workers in California and Florida. However, by the mid-1980s membership in the UFW had dwindled to around 15,000. During his lifetime, Colegio César Chávez was one of the few institutions named in his honor, but after his death he became a major historical icon for the Latino community, with many schools, streets, and parks being named after him. He has since become an icon for organized labor and leftist politics, symbolizing support for workers and for Hispanic empowerment based on grass roots organizing. He is also famous for popularizing the slogan “Sí, se puede” (Spanish for “Yes, one can” or, roughly, “Yes, it can be done”). His supporters say his work led to numerous improvements for union laborers. Although the UFW faltered after a few years, after Chávez died in 1993 he became an iconic “folk saint” in the pantheon of Mexican Americans. March 12 marks the beginning of a new year in the Aztec calendar. Of course, the date comes with a lot of traditions and celebration. This holiday, also called Yancuic Xihuitl is observed in some Nahua communities in Mexico. The Nahuas are a group of indigenous people of Mexico and El Salvador. Their language of Uto-Aztecan affiliation is called Nahuatl and consists of many more dialects and variants. About 1,500,000 Nahua speak Nahuatl and another 1,000,000 speak only Spanish. Celebrations consist of a series of ceremonial songs and dances to the beat of drums during which seeds are presented as offerings and “ocote” (pitch-pine) candles are lit.